When picturing the Canary Islands, first things come to mind are: the sun, a tropical beach and the ocean breeze. 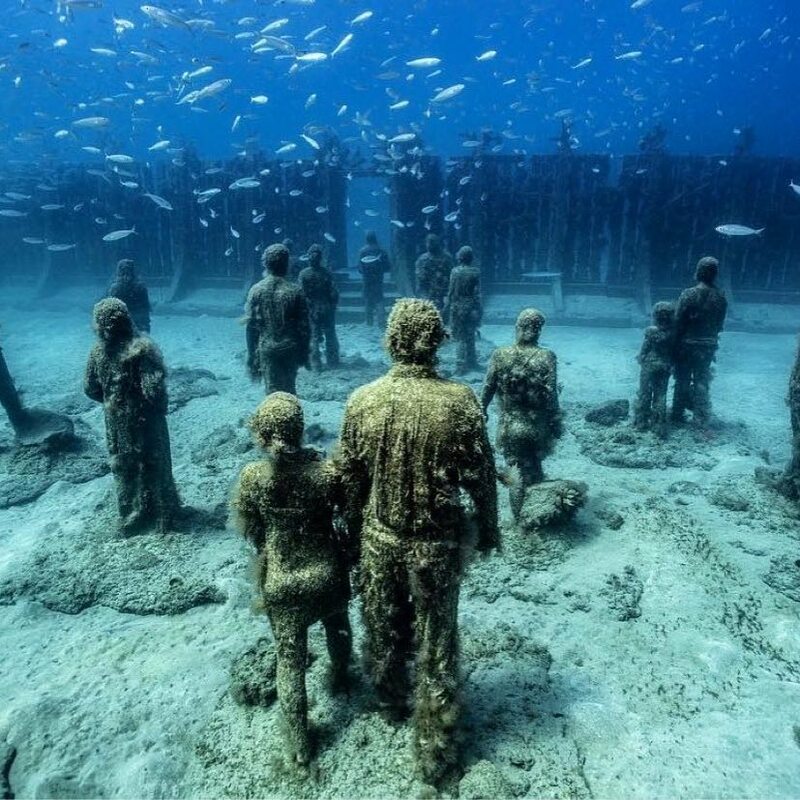 But, apparently, there is much more to see off the shoreline as well: a whole underwater museum, to be exact. 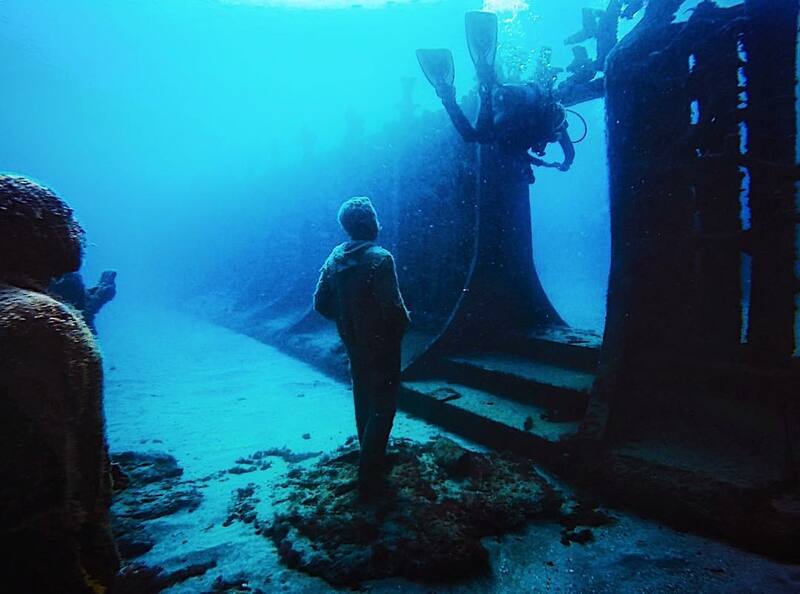 Located off the coast of Lanzarote, Museo Atlantico is Europe’s first underwater museum, at the bottom of the Atlantic Ocean. 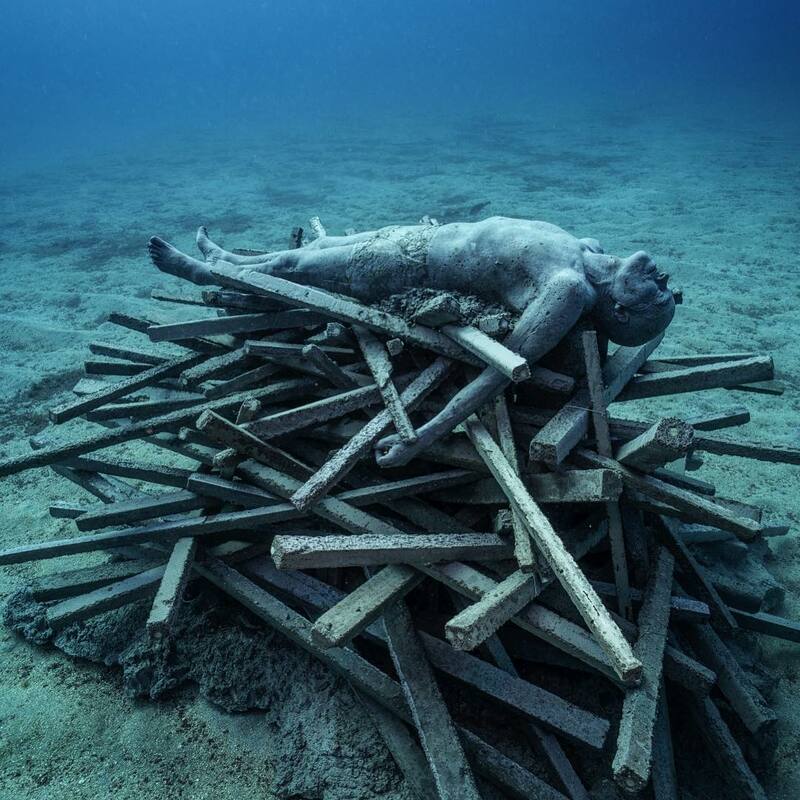 It was created by the British artist Jason deCaires Taylor in 2017. 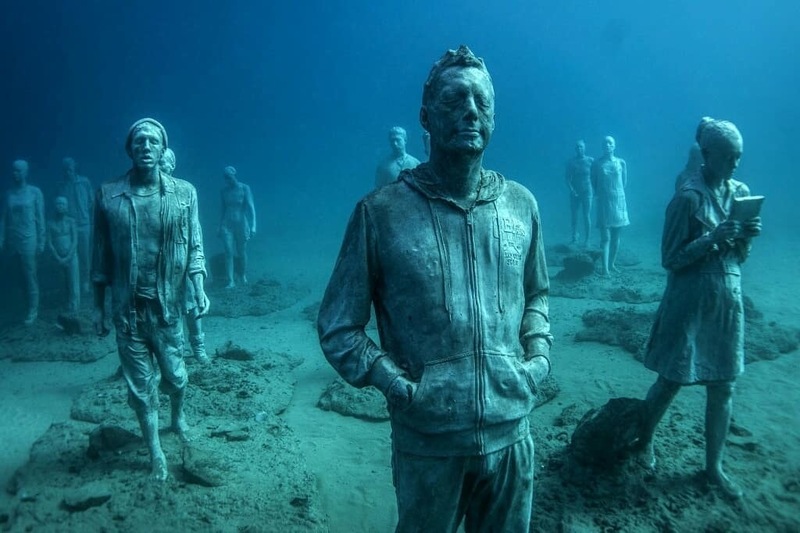 It took him a year to complete his sculptures and one more year to submerge them onto the seabed. 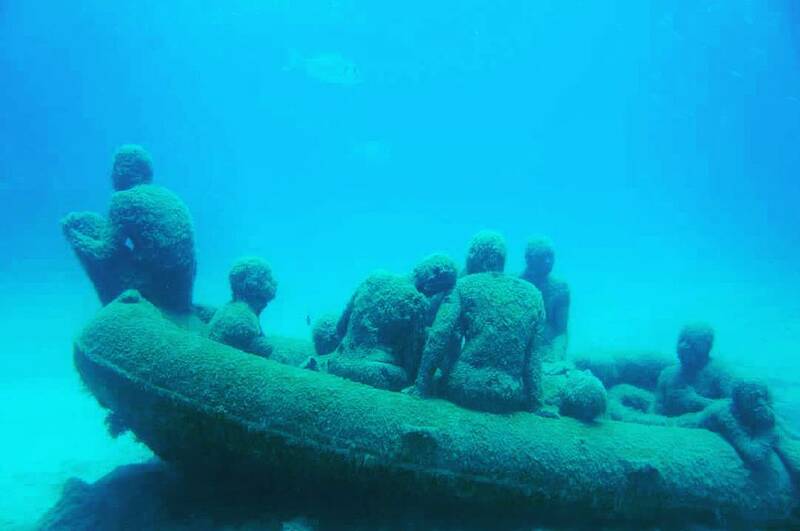 snorkeling, but also by tourists who ride on boats with a glass bottom. 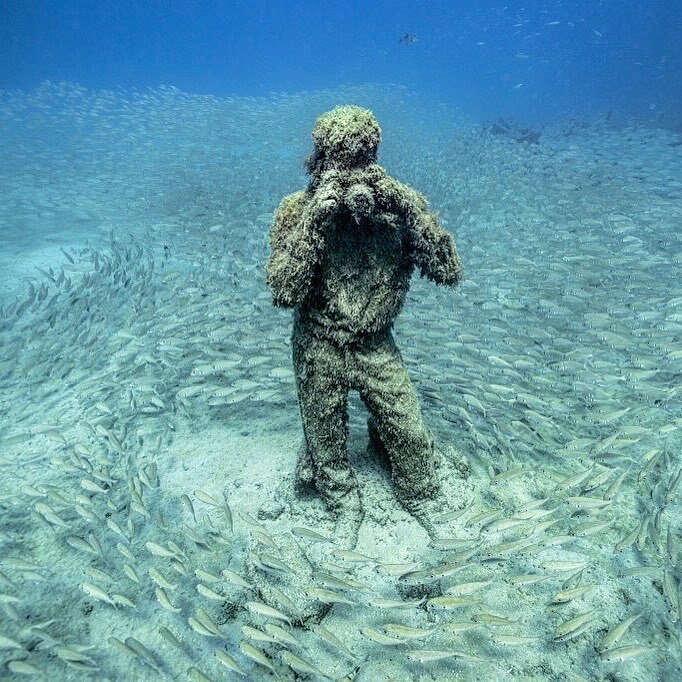 According to the artist, all sculptures are made of dense concrete, which does not have harmful effects on the marine ecosystem. In total, the museum exhibits 300 life sized sculptures. 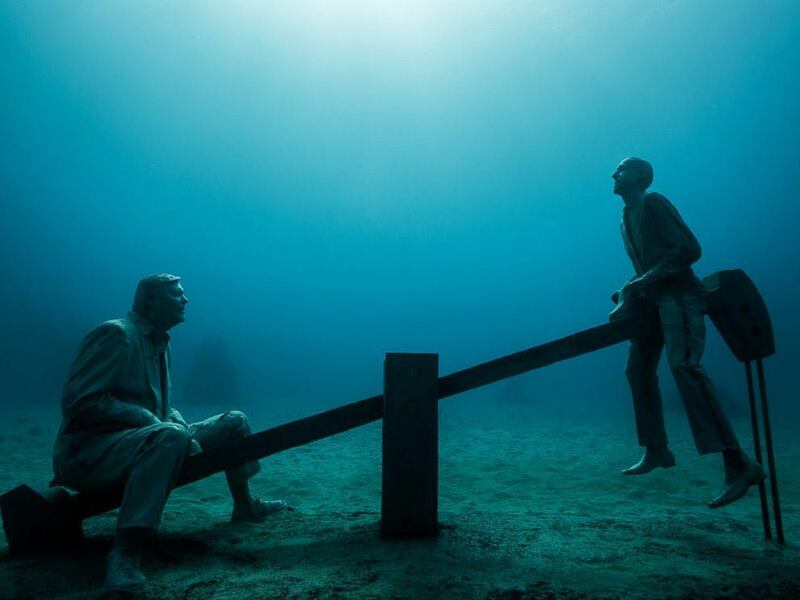 They are united in an art installations and each of them illustrates variety of issues such as: global warming, immigration and social media addiction. The biggest installation is the “Circle of People”. 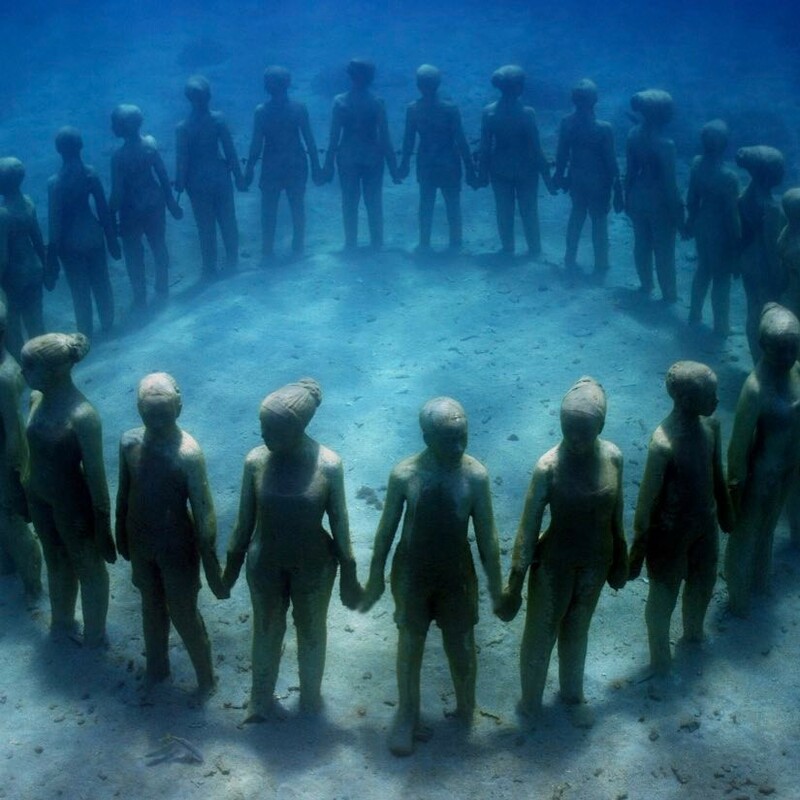 In it, about 200 sculptures are arranged in a circle, which meant to symbolize the origin of life in the water and its dependence on the ocean. The installation “Crossing the Rubicon” is a concrete wall, with a single passage in the center, to which 40 figures “walk”. 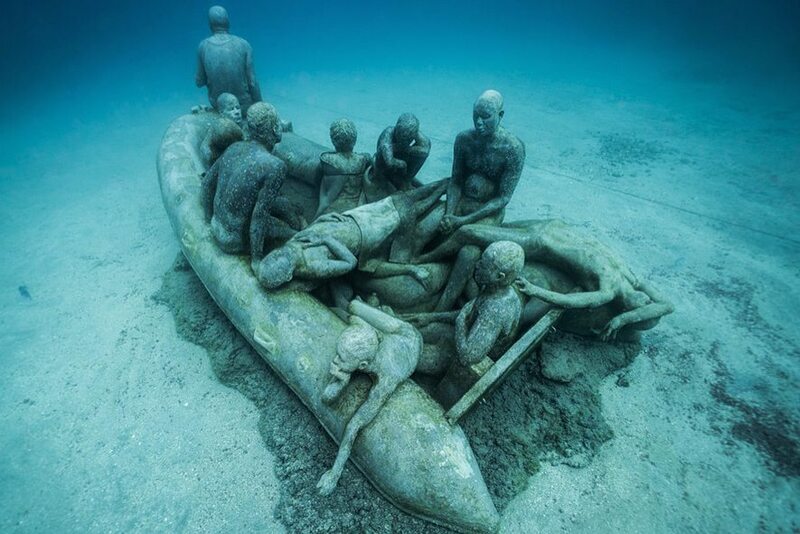 “The Raft of Lampedusa” is a boat full of desperate people, resembling the recent immigrant wave to Europe. The installations are fun and sad to see, at the same time. They are thought provoking and emotional. So, do not pass on this unique experience and visit the museum.